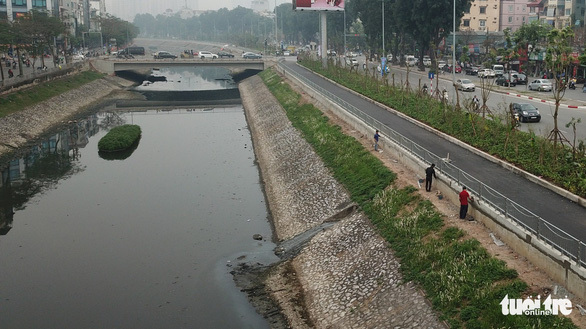 The notorious sewage smell of the To Lich River in Hanoi can be greatly improved in just three days with the help of a bio-nanotechnology solution from Japan, a Japanese expert claims. Dr. Tadashi Yamamura, a United Nations environmental expert and president of the Japan External Trade Organization (JETRO), proposed the idea at a meeting with Vietnamese Prime Minister Nguyen Xuan Phuc in Hanoi on Thursday. With a nano bubble aeration system placed on the bed of the To Lich River, foul smell can be significantly reduced in three days, Dr. Tadashi said. He added that experts from Japan had surveyed the river for two years before coming up with the solution. “We hope that this modern technology will help Vietnam with water treatment,” he said. JETRO wants to sponsor the pilot application of this technology on a section of the To Lich River as well as in some areas of Hanoi’s West Lake, he added. PM Phuc acknowledged Dr. Tadashi’s proposal and said he had great regard for the Japanese technology. The Vietnamese government always has environmental concerns in mind when devising policies for national development, the premier said. 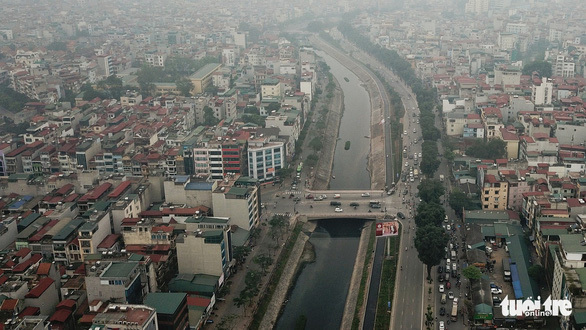 Regarding the testing of this new technology in Hanoi, PM Phuc said the proposal is in line with government visions for protecting the environment in the age of industrialization and modernization. He asked the Japanese side to work closely with the Vietnamese Ministry of Natural Resources and Environment and the People’s Committee of Hanoi to come up with a detailed plan to implement the To Lich River deodorizing project. “This will be a good stepping stone for treating polluted water in other provinces and cities,” the Vietnamese premier stressed. The To Lich River runs nearly 15 kilometers from Cau Giay District to Thanh Tri District in the capital. Formerly a busy channel for trade and famous for its clear water, To Lich is now heavily polluted by household sewage after a part of it was reclaimed for urban construction in the late 1880s, cutting it off from the Red River. The river remains notorious for its foul smell despite recent government efforts to clean To Lich.